Gravel riding has become incredibly popular in recent years with the ability to keep riding on roads after the pavement has ended. Gravel bikes are often much more comfortable on longer rides than a cyclocross bike due to their geometry being much more relaxed. 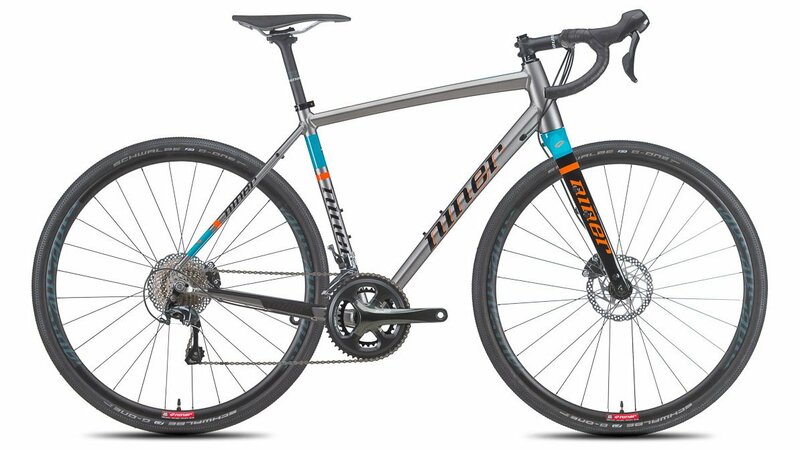 The Niner RLT 9 is a beautifully crafted bike that is designed for weekend adventures, long gravel grinds, and light touring. The frame is made from hydroformed alloy tubing with modern design characteristics like thru-axles and a tapered alloy headtube. The frame can accommodate a 1x, 2x, or 3x drivetrain so you can run any combination you want. With the ability to mount a rear rack, long chainstays, and a low bottom bracket, this will be a smooth and comfortable ride for all terrain. The 2 Star version of the RLT 9 comes with a Shimano Tiagra drivetrain which provides a total of 20-speeds to choose from. 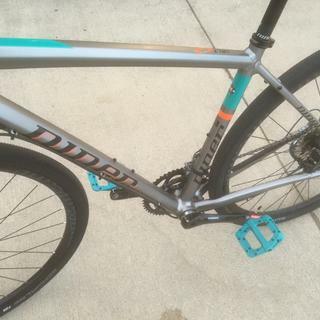 It comes with Tiagra 2x10 shifters and a Tiagra 4700 front and rear derailleur. These are combined with a Tiagra RS400 crankset with 50/34 tooth gears and a Shimano HG500 11-34 tooth cassette to provide all-around gearing for most climbs and terrain. The Shimano Tiagra RS405 hydraulic disc brakes and the 160mm rotors on the front and rear provide excellent stopping power for any descent. If you're looking for the ultimate gravel grinder then you'll love the RLT 9 Star. 4'11" - 5'3" 5'2" - 5'6" 5'5" - 5'9" 5'8" - 6' 5'11" - 6'3" 6'2" - 6'6"
I love the feel of this bike on asphalt and gravel roads. It absorbs the bumps and vibrations and is still nimble. The geometry is awesome. Great steel ride! Delivered on time and packed securely. The Chester pedals are from Jenson too.